When your dentures break, even if you have a backup pair, you want them repaired as quickly as possible. 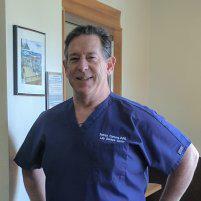 Patrick Carbone, expert denturist and founder of Lilly Denture Center in Olympia, Washington, repairs your dentures the same day at his on-premises state-of-the-art dental laboratory. Whether you have chipped teeth, missing teeth, or a cracked base on your dentures, if you live or work in the Olympia area, call Patrick and his friendly team or book a denture-repair appointment online. Why did my dentures break? Even the best dentures wear out, and most only last eight to twelve years. As the materials weaken, you could find yourself with issues such as chipped or missing teeth, or a base that breaks. Can I fix my dentures myself? Depending on the circumstances, you might be tempted to fix your dentures yourself. However, adjusting or bending the metal pieces on your dentures can permanently damage them. You should also be aware that do-it-yourself denture repair kits can contain chemicals that may harm you and your dentures. Only a professional denturist can repair your dentures, so they function well again and fit properly. Poorly fitting dentures that you’ve tried to fix yourself can cause sores and abrasions. How long does it take to repair dentures? Lilly Denture Center has an on-site dental laboratory where expert denturist, Patrick, repairs your dentures on the same day. In most cases, your denture repair is over within a few hours. Besides repairing broken dentures and chipped or missing teeth, Patrick can reline your dentures to fit more securely. If your denture is badly broken, he will do his best to repair your denture in one day. If your dentures are broken beyond repair or should be replaced soon, Patrick can create new, custom-made dentures. He always uses the highest quality materials available. His dentures can last almost twice as long as some other dentures. When your dentures break or need to be relined, don’t risk permanent damage to your dentures or harm to your oral health: Contact the expert denturist at Lilly Denture Center for same-day repair. You can phone, drop in, or use the online form.